The Johns Hopkins House, Inc. 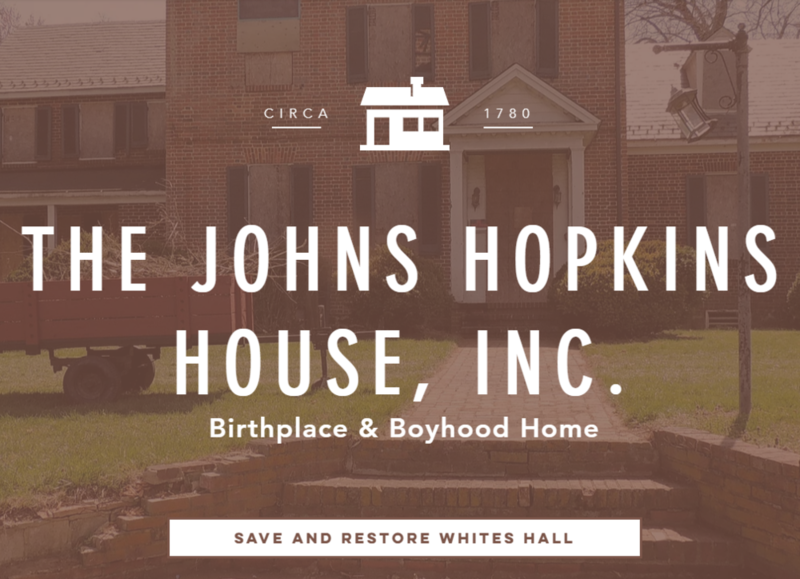 The mission of The Johns Hopkins House, Inc. is to save and restore historic Whites Hall plantation (circa 1780), the birthplace and boyhood home of Johns Hopkins. We will then open up Whites Hall to the public as a museum and nonprofit country inn- The Johns Hopkins Inn. The Johns Hopkins House, Inc. is a Maryland non-profit corporation. We are a tax-exempt 501(c)(3) organization. All gifts, donations, and bequeaths to The Johns Hopkins House, Inc. are tax deductible. Our EIN# is: 82-1242910.